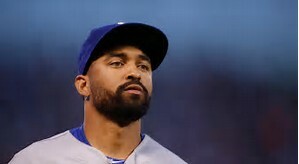 Last Saturday night Atlanta Braves outfielder Matt Kemp slugged three home runs versus the Brewers at Miller Park. It was Kemp’s first multi-HR game against the Brew Crew in his career. Kemp’s three-homer game was the 10th time in Brewers franchise history that an opposing player had three or more home runs in a game. The last time was almost 15 years ago when Shawn Green slugged four home runs in a game against Milwaukee, the most HRs by an opposing player in a contest. All total, there have been 71 opponents who have hit two or more home runs in two or more games against the Brewers.